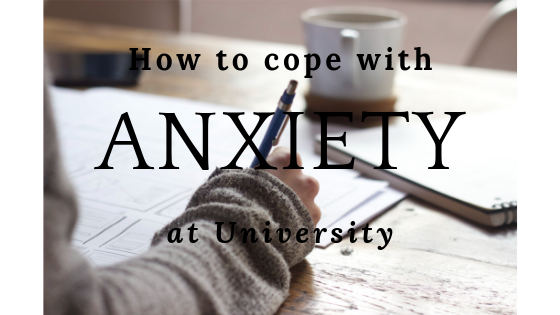 How to cope with anxiety at University. Hey everyone hope you are well. 😊 As you're reading this (Monday 12th Nov) I am currently in Northern Ireland, I've been up here visiting friends and going to a christening but me and my partner decided to make it into a mini holiday so we stayed for longer! I went on a Game of Thrones Tour and present me writing this now is super excited, although by the time I publish this it would have already happened but I'm sure I loved it. That was strange to write. 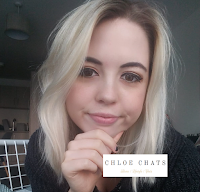 In today's post I thought I'd talk about my University experience - more specifically my anxiety, I have written about this before but a long time ago, and so I wanted to talk about my experience and any advice I have to others who may be at university, going to university, or perhaps have young kids who may do in the future. These tips can also help if you are struggling at work or school. I went to University back in 2013. How time flies! I was always pretty terrified about going as well as excited of course. For me I had no idea what I wanted to do with my life - I've only just figured it out now about what I want to do - but school was coming to an end and my school pushed me to go down the university route, so I did. Obviously, as I had no idea what I wanted to do I just decided to do something that I liked and so I enrolled in a Creative Writing and Media Studies course. I loved to write - and still do, and I also enjoyed doing my media course at school. For someone who suffers with anxiety I took a massive step by going to a university that was about 3 hours away on a train, yikes. Before I went I decided to go to Cambodia for a month where I taught English at a school there, rebuilt parts that were falling apart, and generally learning about their culture and seeing the wonderful places they have. It was amazing, but I'll have to talk about that another time! So what I thought was that if I could go to Cambodia by myself (without family) then I could definitely handle university - that was my thought process anyway. Anyway, fast forward time, I got to university, my parents helped me unpack and I also did some research beforehand and found that a lot of people said it was always a great idea to have your door propped open on the moving day so your other flatmates can say hello to you. So, that was it then, my parents left and there I was sitting in my new room knowing absolutely no-one. It's one of the most daunting but exciting experiences ever. I was very lucky that my flatmates were all lovely, if I remember correctly we all ended up ordering a pizza together for the first night. Unfortunately, my anxiety got the better of me and it's such a big regret for me. I left after just 1 week, I had a few meetings with my course tutor and I said this isn't for me. It was so silly of me to not give it a chance, but I struggled so much and all I wanted to do was to go home. I got home, and I started applying to loads and loads of jobs - I think I actually got accepted for 2 of them. However, after just 1 week of being at home I realised I had just made the biggest mistake ever - and all because of my anxiety. I gave university no chance whatsoever, I gave myself no time to see what my course was like, or develop any sort of friendships. So what did I do? I rang my university and asked if there was any way at all that I could go back and go to the same halls again, thankfully they said yes! I went back, had the best time with my flatmates and started my course. (Although, I did change my course to Film and Media studies). Obviously, I still experienced so many panic attacks, times where I did not want to leave my room, I found it easier most times to get drunk when I went out in the evenings to make it easier to talk to people. (By the way, I'm not encouraging that, it's not a good idea, it's pretty stupid.) From my experience, I got to study something that was pretty interesting, I made friends with people on my course, I became good friends with my flatmates and also met some of my best friends at university - if you're reading you know who you are. Of course, I also met my boyfriend who I have now been with for almost 4 and a half years. 1. Give it time. I can assure you, I know it can be hard, but don't make a rash decision. I very much regretted leaving after just a week and I'm so thankful that I was able to go back. It's so daunting moving into a flat with other people you have never met before, away from your school friends and away from your family. You have to remember that everyone living in halls with you is going through the exact same experience, they don't know anyone either! They'll understand that you're feeling nervous or anxious, you just have to give it some time. 2. Decorate. What I mean by this, is make your living space homely! I had a wall of pictures of my family and my friends from back home. I had the most colourful bed sheets, I put up fairy lights, I arranged things how I wanted them to look. You've got you're own room, you don't have your parents telling you where to put certain things, or what you can't have on the walls, it's your own space. I also had a ton of posters, you'll probably find that in your welcome week they'll be some sort of poster sale, I'd recommend having a wander around it, they know you're university students so they were never expensive. For some reason a lot of university students have drink posters - but hey, if they help you make some fancy drinks then that's cool! 3. Leave your door open. Obviously, you don't have to do this every day at every hour - that would be a bit odd. But, something that I read up about and found to be super helpful was having my door propped open on the first day I moved in and perhaps randomly in the day when you're just sitting in there doing some work or something. Of course, if you don't want any one to disturb you then have the door closed, but it shows that you're welcoming and you want people to come say hi if they walk past! 4. Talk to someone about how you feel. As I said in the first tip everyone will be feeling just as nervous as you, so often it can be quite helpful to talk to someone about how you're feeling. Or if you don't want to speak about your anxiety to begin with, perhaps when you meet someone who you become really close with you can talk to them about it throughout the years you are there. If you didn't want to talk to another student, every university - I'm pretty sure, will have someone you can go speak to about it. Often you find they will have a counsellor or they'll be seminar's organised about these topics. I'm sure you could even talk to your course tutor about it, hopefully they'll be understanding and give you some advice themselves. 5. Phone and video calls. You will miss your family and your friends from home there's no doubt about it, if you go to a university to far away to keep travelling home you may find you'll end up being at university for the whole terms before going home. Just remember, they're only a phone call away. Organise evenings where you set up phone calls or video calls and you watch a movie together and talk about it, or if you're into playing video games you can play games with friends from home. Of course, you can go home for a visit whenever you can and you can organise your friends and family to come up and see you. There's so many ways you can help yourself and get more comfortable being at university away from home. I hope you enjoyed this post and even that it has helped you. What are your tips and advice? Have you had any bad experiences at university? Let me know in the comments below! Great tips- especially about leaving your door open! We always had our door open in college! I loved reading this and it has really helped me being in my first year of uni! This is such an important post! I also got pushed into the university route because of school and dropped out after the first time. I went back a year later - different uni, different course - and it literally set me on the course that I am now. Overcoming the anxiety, the fear and the dread to realise you made a mistake is so courageous. I'm glad you got the most out of it in the end! The first few weeks can be so tough since you don't know anyone, but I'm so glad you went back and gave it another try! I met some of my best friends at university and we all still try to get together as much as we can since we graduated. So great that you gave university a second chance after realizing that anxiety was trying to stop you. Leaving your door open and decorating to give your room that home-y and cosy feel is a must and I found it really helped me! Why is student accommodation so blah! Posts like these are super important to get outthere. Myself I have got no advice apart from holding on as you already said. It wasn’t enough for me, my ASD got the better of me just before I finished the bach degree - which ultimately came off like a mix of anxiety and depression. But I so deeply regret that I didn’t hold on for that last half year. So yeah - be stubborn, talk to people (maybe that was what I was missing) and be open about anxiety. If people don’t have the medical version they can still often relate to it t some degree. Hiii,I commuted throughout the years at university so I don't have much to add but thanks for sharing your story! I agree with everything you've written, Especially #4, there's so many times people don't tell people how they feel for different reasons which in the end makes them feel worse off, just talking can really help. And number 3, I would never think of leaving my door open I would be too scared:P but thank you, this post is totally inspiring and will help anyone who's in that transition ready to make the big move. My uni days were tough too but I lived with family so I was certainly well fed then haha! These are great tips and advice, especially leaving the door open! My sister is currently a freshman in college and she isn't having a great time. She is anxious (she wants to do good in school but also have a to of friends) and depressed. She thinks she isn't good at her art but she is listening to her fears more than her positives. I hope she sticks it through the year. I also suffer from anxiety and this has been the reason why I left university and several jobs. If I could go back, I would definitely go back to uni. I guess it's never too late. However, after all these years of therapy, after all the things I've learned, I'd now do things differently. Surely your advice will help many people. Thank you very much for sharing your experience with us! BTW, I envy you because you were at the Game of Thrones tour! I hope you enjoyed it! Is the tour in Belfast? I love this post! These tips are great and practical and they would go along well with this foolproof guide to surviving university that I wrote. Check it out! This is a great post. Looking back I had anxiety during my first year of college and didn't know it -- it manifested as dizziness and lightheaded feelings that were bad enough to make me miss class, but no one diagnosed me. That was in 2005 so I think now there is a much greater awareness of mental health issues, especially at school. I'm so glad you were able to go back and enjoy it! I totally agree with all of this! I went to college but felt likeI was rushed to choose something so I can finish up the 4 years and graduate on time! love this, Chloe! you always come up with such creative posts! also loving the Decorate part - it truly does help!! I decided when I graduated high school, that I wanted to stay home for college. Three years later, I don't regret my choice but I sometimes wonder what it would of been like to live in a dorm and on campus. I honestly knew from the start that I wouldn't be able to do it. It was such a big fear of mine and still is when I think about it. Good for you, trying a second time! You are really brave and you gave such good tips!! Well done for giving it a chance! These are great tips even for those of us well out of uni! My trip to Northern Ireland. Living with someone who has anxiety.